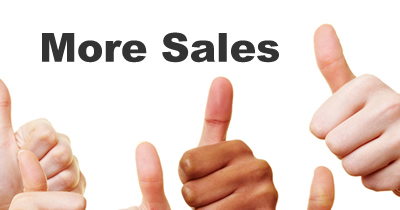 Do you want to get more sales from your website? Ideastream focus on a full range of response web design and customized website development solutions committed to smartly market your company, deepen your internet credibility, and convert targeted traffic into loyal clients. Based on a structured working methodology and consultative understanding of our client’s business needs, we offer innovative and intelligent web page design and development services that represent client mission and enhance awareness to your potential client. Our innovative e-business methods are designed by expertise in all fields, marketing, and design along with technology. This allows us to deliver a goal, consultative strategy that can be effectively applied to satisfy any e-business demand. Todays, there over 3.5 billion searches per day in Google search engine. It provides the highest traffic to your business website which potentially brings dozens of sales. This only can happens if you have a proper search marketing plan in placed along with a high converted SEO friendly website. This can help you accelerate your website visibility to get massive free targeted traffic from Google and convert them in to your customers. We at Ideastream are specialised in offering SEO Services that works for long term and fully optimized web design services to help you tap on this opportunity. Reach 80% of all active UK users including Google UK, Yahoo! UK, Bing. We uses crafted search engine marketing and keyword marketing to drive qualified and targeted leads to your website. Ideastream search engine marketing services uses crafted keyword targeting and optimisation to drive qualified and targeted leads to your site. By targeting carefully selected search engines and directories we are able to focus the interest on the users that you’re focused on and who’re considering your services and products. We are partnering with Adam’s SEO Malaysia company to provide efficient yet afforable SEO services. Search term analysis, research and optimisation works because every second of every day your potential customers type search criteria into their search engines that lead them directly to the competition.Ideastream co-ordinate sophisticated search term analysis and keyword research to determine which keywords, search terms, phrases and themes are most commonly selected by the customers searching for your information, products or services. Ideastream website on-page optimisation solutions specialize in promoting your company, increase your online website credibility and convert targeted traffic into loyal clients.We make sure your website are pack with optimised coding standard including metatag. heading, optimsed image and rich contents with your targeted keyword as well as long keywords. 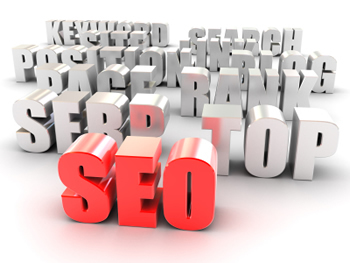 This set the fundamental and maximize the ranking signal in organic search engine. The majority of major crawler-based search engines such as Google and Yahoo use backlinks as part of their ranking algorithms and score your web site based on this information. Backlinks is a term which means how the search engines determine the quantity, quality and context of inbound and outbound links from your site.Increasing your backlinks will improve how well your pages rank in crawler-based search engines, but the key is building a network of good links that are relevant to your type of business; it’s not the quantity of links but the quality of the sites linking to you. We monitor client’s website ranking closely with advanced reporting tools which will be shared with our client on weekly basis. Besides, we also continuously adopt the evolution and changes in the search engine industry to make sure the latest strategies are applied and comply Google Webmaster Guidelines. The perfect website design helps the customer’s message to be fed to their potential audience with impact and clarity. This can be done via sensorial visual design by capturing those elements which most engage anyone’s senses: audio, animation and visual. Our web page design solutions explorers all visual, auditory and time-based elements of design – typography, form, content, arrangement, illustration, audio and motion – as a way to effectively produce a mood, communicate as well as deliver your business with impact and clarity. 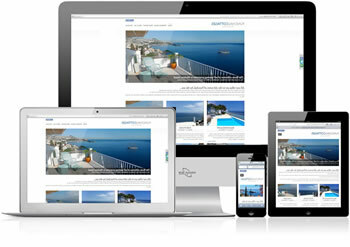 Ideastream focus on a full range of response web design and customized website development solutions. Based on a structured working methodology and consultative understanding of our client’s business needs, we offer innovative and intelligent web page design and development services that represent client mission, enhance awareness and covert targeted traffic into loyal clients.